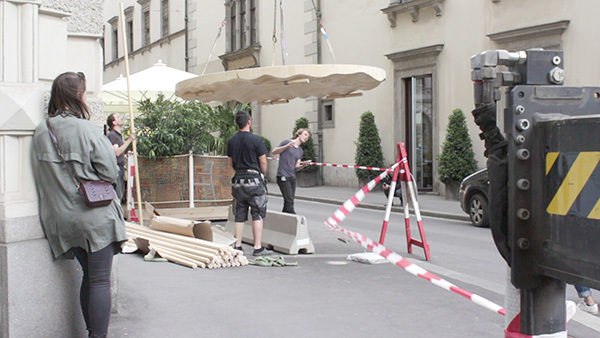 During the Designmonat Graz 2017 the Creative Industries Styria announced the project Smart Urban Furniture. 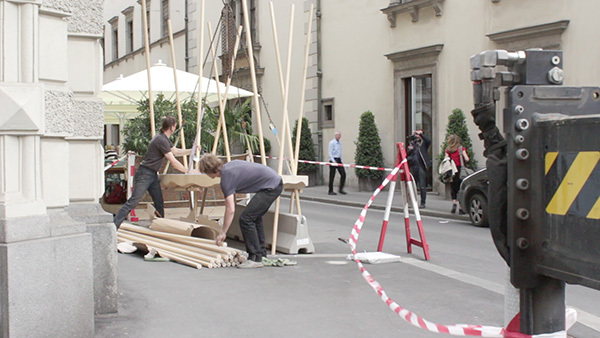 Five teams were commissioned to design prototypes of temporary places of retreat for public spaces, with an emphasis on the use of wood. Mikado is the contribution of zweithaler and mtdesign Tischlerei. This project resulted in the follow-up Art Wood. 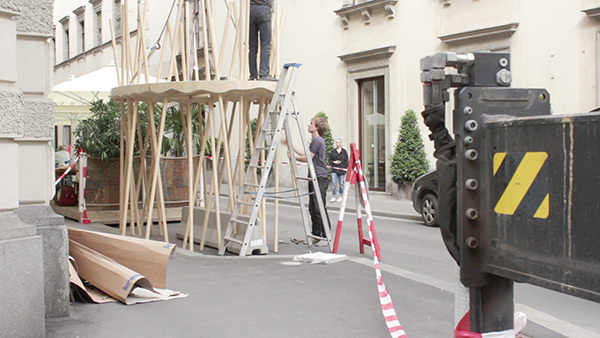 Because of the temporary use, the objective was to create a sculptural object that stands out from the city scape. As popular spots on open spaces are usually already occupied by street furniture or other objects, Mikado encompasses these and thereby enhances the quality of stay. Its open nature avoids dead spots whereby the accumulation and scattering of the vertical structure regulates the relations between in and outside. The design is based on a structural principle where the top panel is held up and statically locked by poles that are put through at varying angles. The construction is not reinforced with screws, bolts or other fittings. 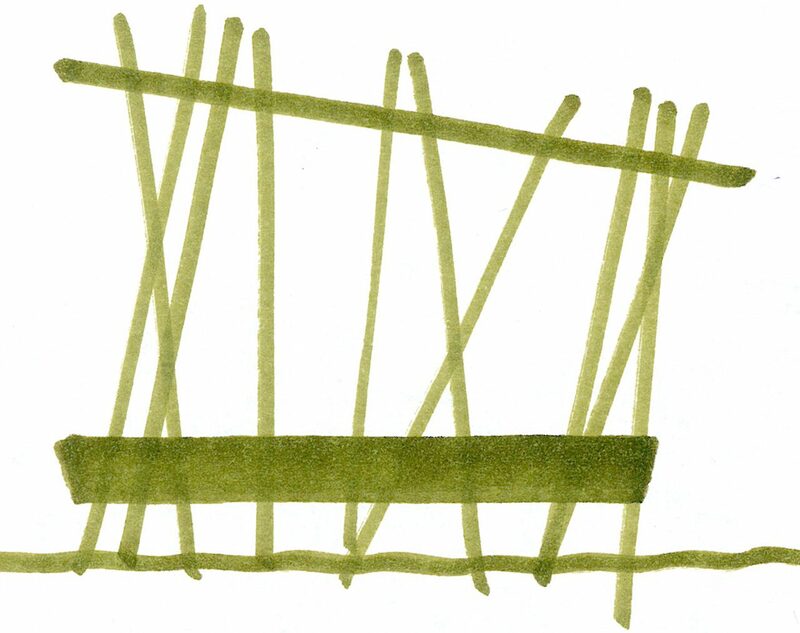 In order to speed up the design process, the vertical structure was computed with Grasshopper for Rhinoceros 3D. The parametrically configurable algorithm arranges the poles while avoiding collisions. Another key design feature, the bottom side of the panel, was also generated by algorithms. 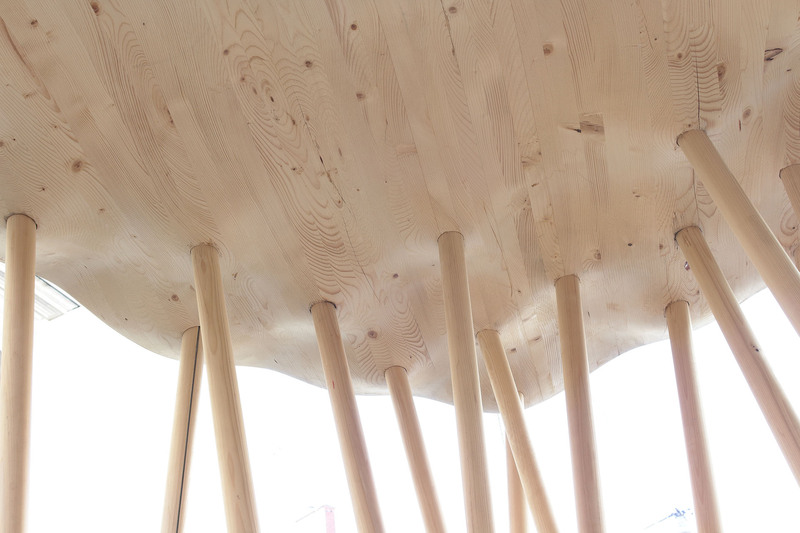 For weight reduction the solid wood panel is thick only around through holes but otherwise as thin as possible, resulting in a landscape-like surface. In the sense of the prototypic character of the project it is also a showcase of state-of-the-art wood processing technology. During multiple cycles the machining robot in the Robot Design Laboratory of the TU Graz produced two halves of the final shape out of solid wood sheets. The machine’s accuracy guaranteed seamingless joining of the two halves and exact positioning of the poles later. Apart from the use of machinery, Mikado is assembled quickly and easily. After poles have been put through the panel it is slowy lifted, while the poles slide down. As soon as the lifting motion stops the poles wedge into the panel and lock it statically. This way Mikado may be set up in variable height and inclination and, moreover, on uneven terrain, as the poles’s positions adapt to the ground topography. Assembly at Schmiedgasse/Landhausgasse with loading crane. 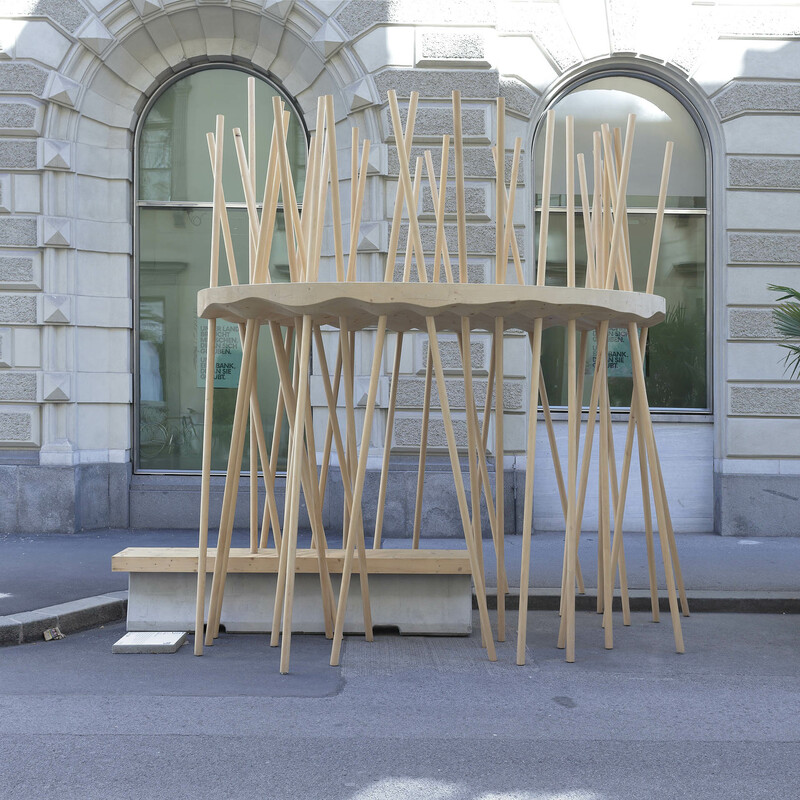 Mikado with bench during Designmonat Graz 2017. 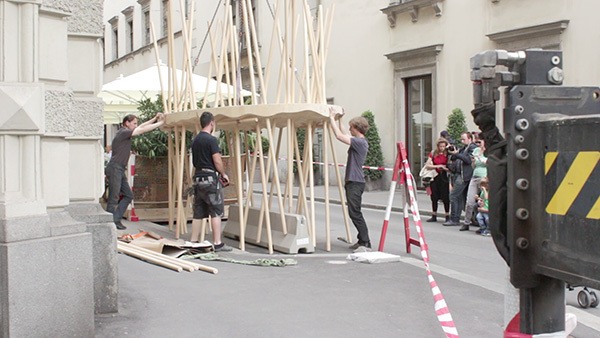 More about Mikado and Smart Urban Privacy at Creative Industries Styria.